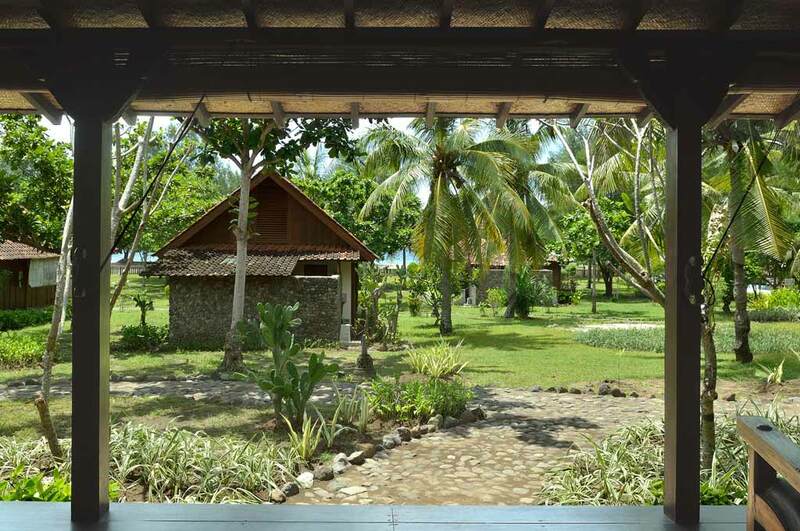 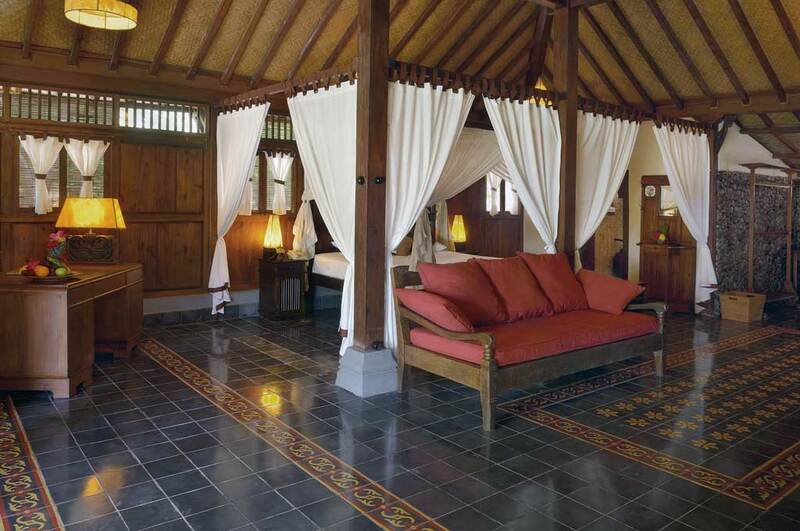 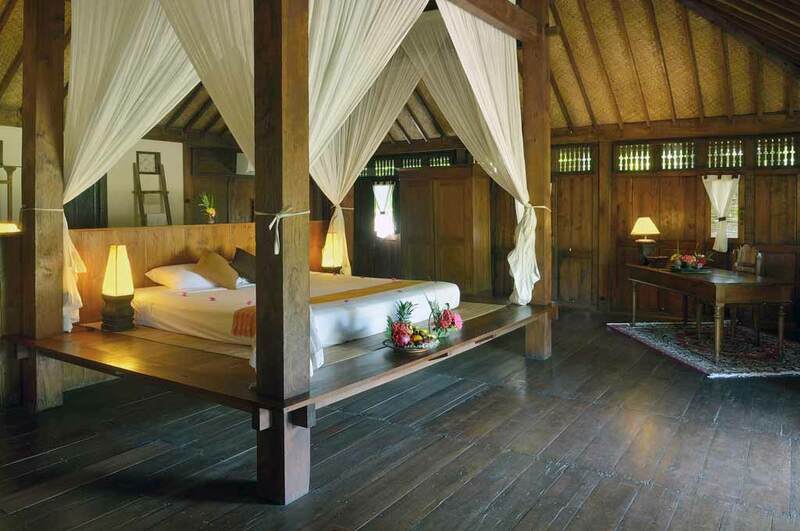 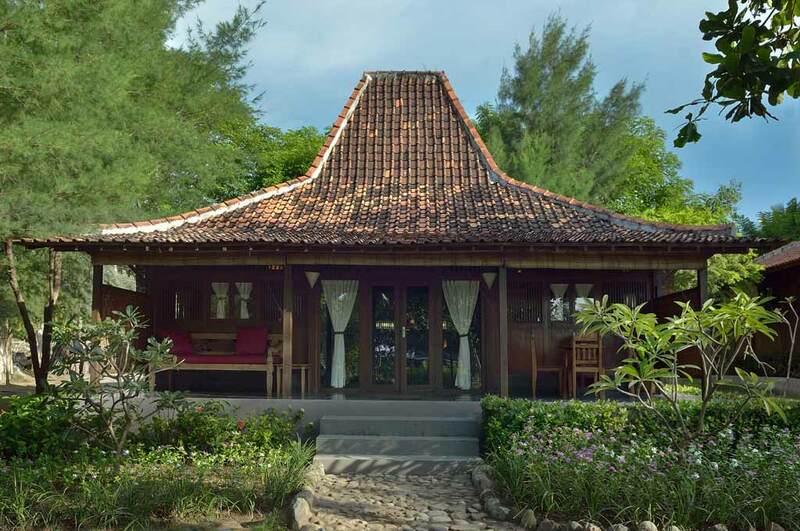 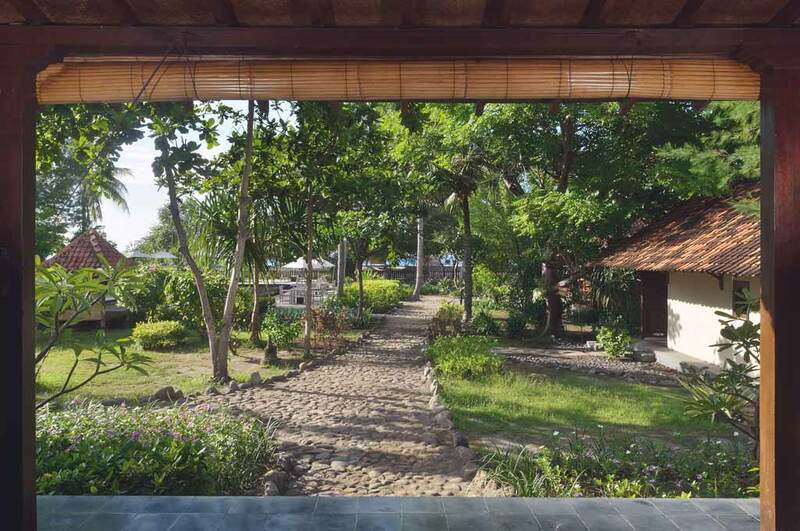 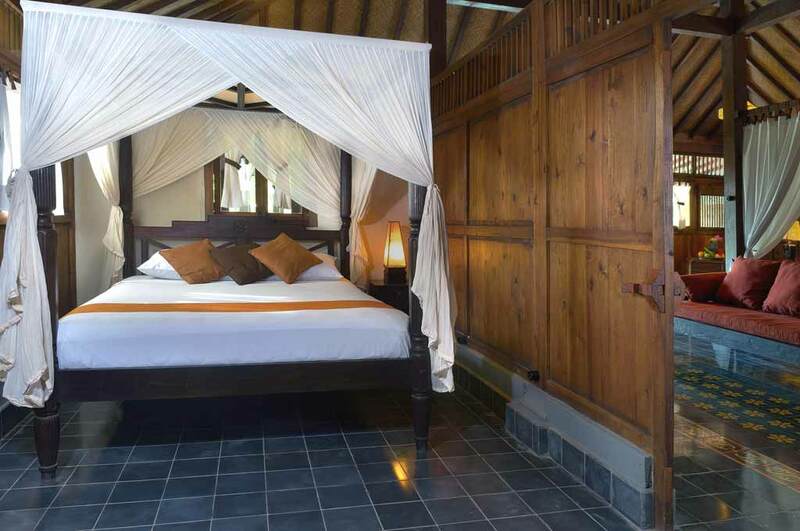 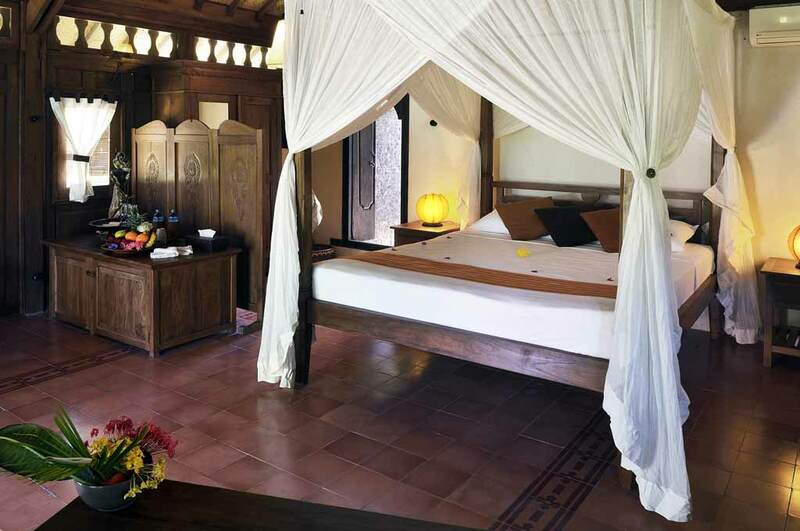 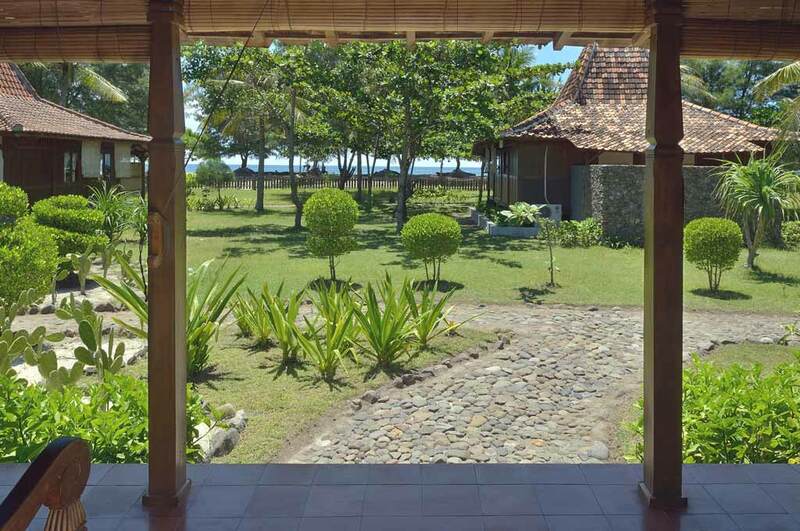 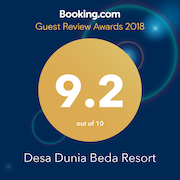 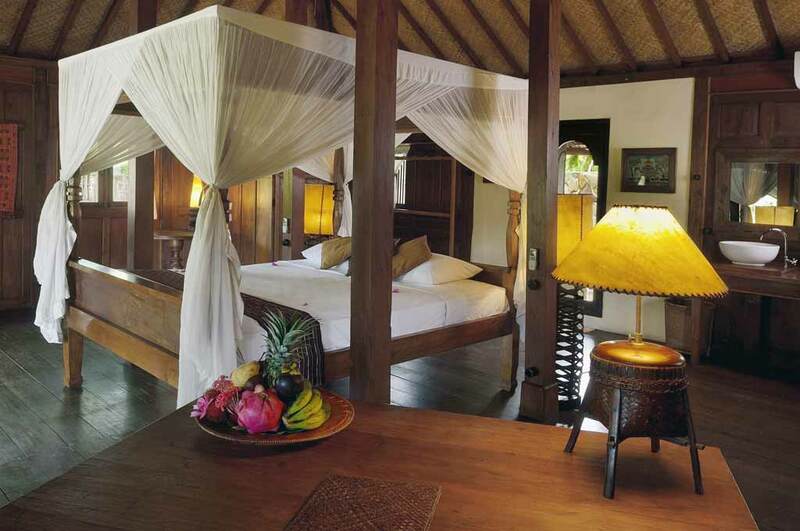 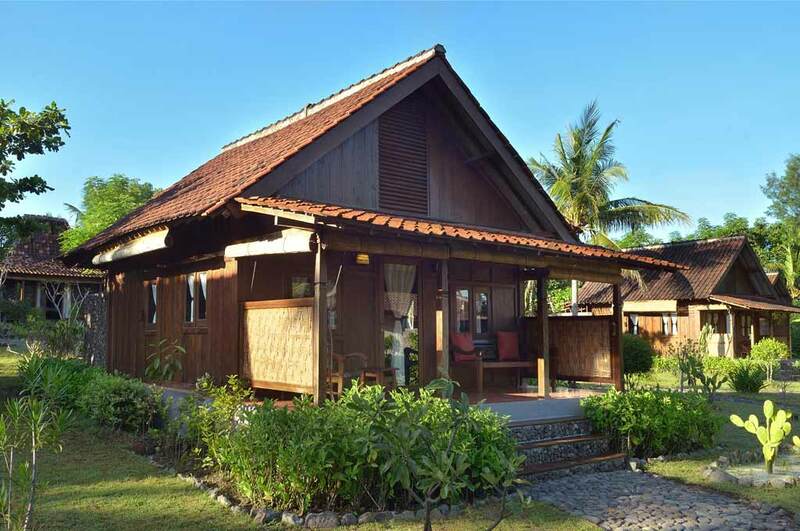 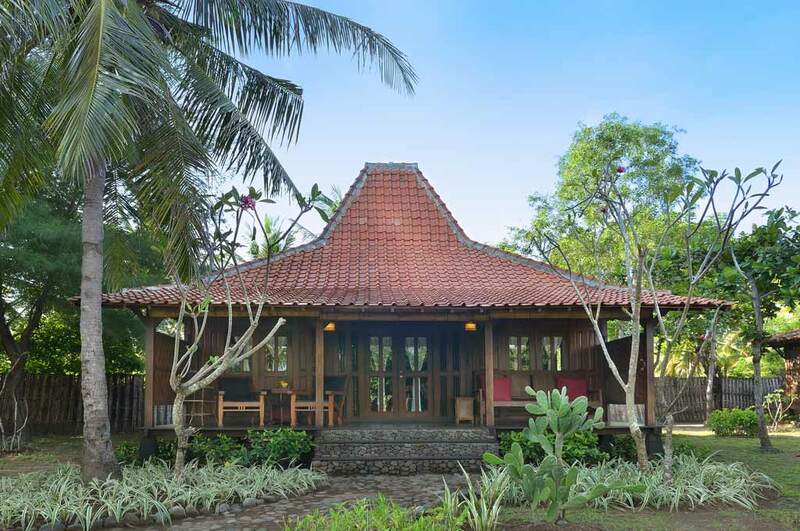 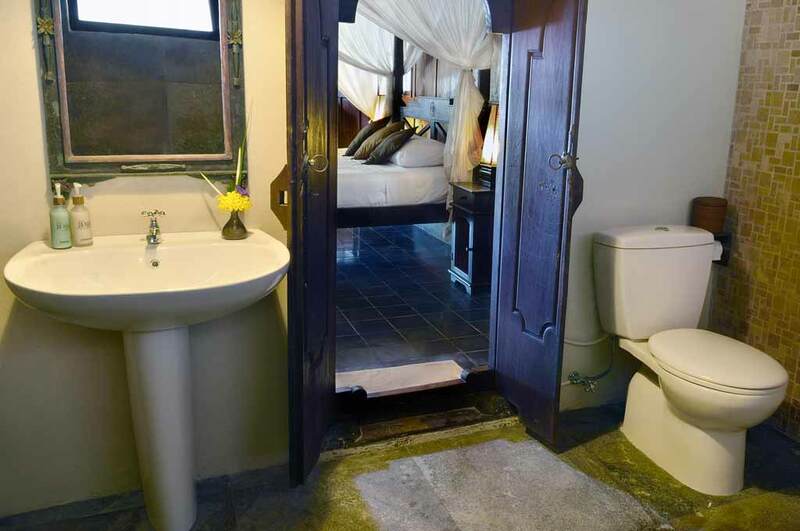 Guest are accomodated in Typical Javanese house, elegantly decorated with traditional furnishings, primitive and artifacts. 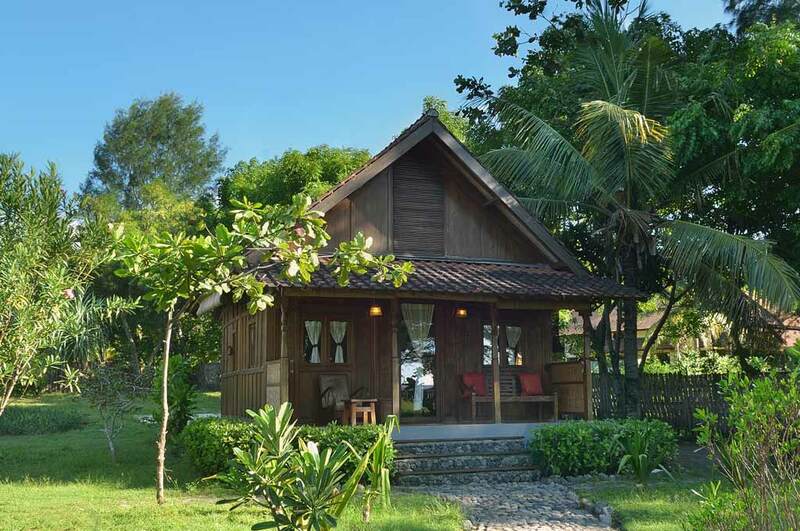 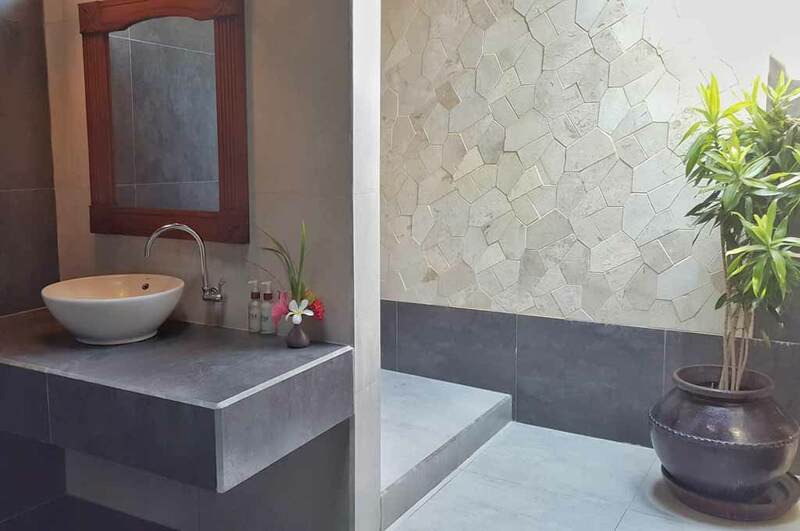 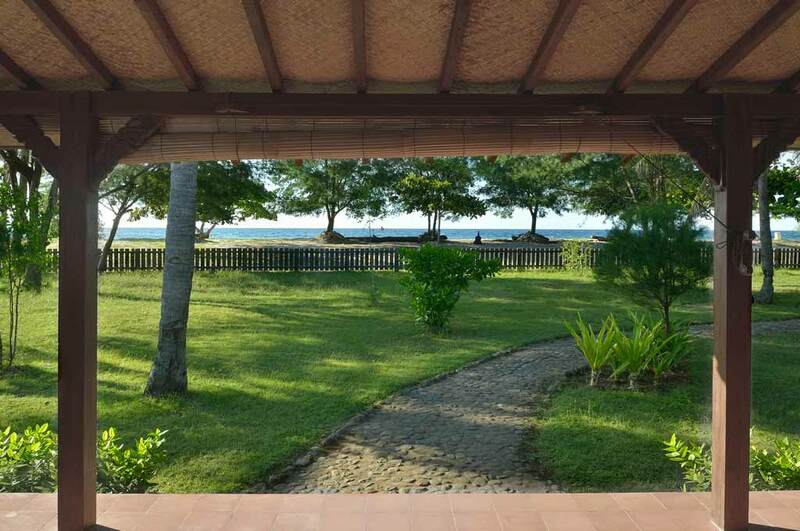 Each house has a sea view and offers full comfort including air conditioner, fresh water in each open air bathroom, private balcony, mini bar, safety box, fans and kimonos. 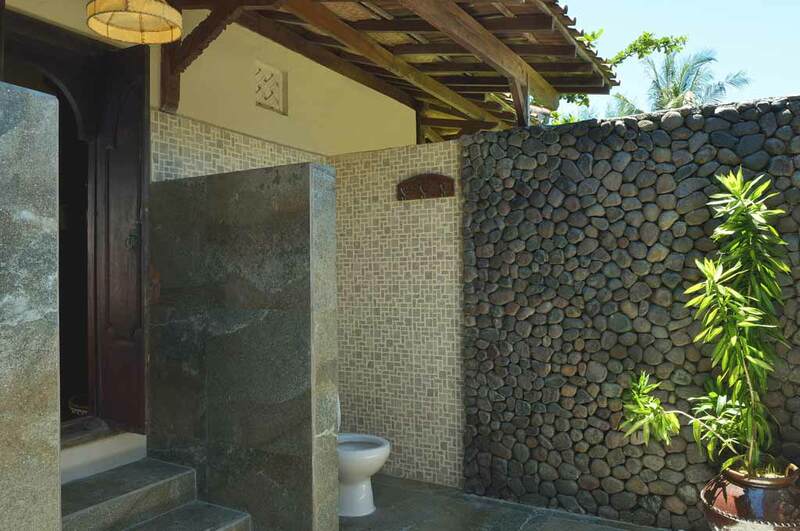 A large family house of two bedrooms, each with its own bathroom, is completing the village.